a) The reader must be surprised when the sleuth reveals the identity of the murderer. b) The reader must believe that "everything he has previously been told about the murderer is consistent with his being a murderer." An excellent test! Also, it highlights an important point: a murder mystery is primarily about the murderer. Not the sleuth, not the sidekick, not even the victims. After all, it is the murderer's desire, his goal, that drove him to kill. 1. The murderer must be a worthy adversary for the sleuth. Storytellers want their audience to think the sleuth is clever and resourceful. This means the storyteller must show him being clever and resourceful. But the only way to do this is to pit the sleuth against an opposing force--the murderer--who is every bit as clever and resourceful as the sleuth. When the protagonist fails (as he/she inevitably will at some point) we understand that they were up against someone brilliant. If the murderer isn't clever then when the sleuth fails ... well, that's just embarrassing! Also, when the sleuth finally solves the mystery and unmasks the murderer it means more because the antagonist was clever. So clever, in fact, that only your sleuth could have brought him/her to justice. 2. The murderer should act from motives of self-interest. "All motives can be explained under the letter L: lust, lucre, loathing, and love." 3. The murderer could have a deep psychological wound. I think there are, roughly, two kinds of murderers. Criminal masterminds like Professor Moriarty and garden variety criminals who poison their great aunt so she won't discover they've embezzled all her money. Generally, Agatha Christie portrayed the latter as weak and, possibly, evil. That works for me. Which isn't to say that these person-next-door criminals didn't have awful things happen to them which left wounds. I'm sure they did. But I doubt that any wound could explain committing murder. But wounds do something else: they humanize. And that's good because we want round murderers not stick figures like Dr. Fu Manchu. Murderers like Moriarty, criminal masterminds, are generally brilliant and calculating. It isn't so much that they have a deep psychological wound which explains their behavior but that some event or series of events radically transformed them into what they are. An event or ability. In the TV show Sherlock, Moriarty is portrayed as a brilliant psychopath, almost as clever as Sherlock himself. But his oddess is--or so I thought--explained by his brilliance. He is so smart that he views ordinary humans as ordinary humans view ants. He views himself as a different, and clearly superior, species. Just as many humans wouldn't bat an eye at killing a moose or deer so Moriarty wouldn't hesitate to kill a human if it was in his interest to do so. Agatha Christie's sleuth, Hercule Poirot, though excessively fastidious and saddled with a taste in clothes and facial hair that could be comically old-fashioned, did not have a deep psychological wound (and the same goes for Miss Marple and Sayers' sleuth Lord Peter Wimsey). Sherlock Holmes: "I'm not a psychopath, I'm a high functioning sociopath. Do your research." Sherlock Holmes: "Oh, do your research. I'm not a hero, I'm a high-functioning sociopath." I would argue that the original Sherlock Holmes did not have a deep psychological flaw. Yes, he was different—quirky—but nothing on the order of the Sherlock Holmes portrayed (brilliantly) by Benedict Cumberbatch. And it works. Sherlock is, hands down, my favorite show and I'm not alone. It enjoys a 9.3/10 rating over at IMDb and a 9.1 user score over at Metacritic.com. But Poirot is popular as well. Agatha Christie is, after all, the world's third best selling novelist and the most popular mystery writer of all time. Whether to give your sleuth a deep emotional flaw might depend on the kind of murder mystery you intend to write. In a cosy it is the sleuth's ratiocination that takes center stage. We are concerned with logic; as Poirot would say, it is all about order and method. On the other hand, in a hardboiled detective mystery such as "The Maltese Falcon" by Dashiell Hammett, or Raymond Chandler's "The Big Sleep," the logic of the crime is downplayed in favor of the sleuth understanding how the city, the police and the gangsters operate. That, and the sleuth's ability to take a punch as well as give one. In keeping with the setting, these sleuths are darker and more flawed. 4. Make the conflict personal. Make the conflict between the sleuth and the murderer personal. Make the murderer want to taunt the sleuth. Make the sleuth willing to take crazy risks to catch the murderer. If the murderer is caught then his/her life is over, perhaps literally, but if the murderer gets away with it, what then? Yes, not being able to solve the puzzle or, worse, offering up an incorrect solution--being foiled by the murderer--could not only ruin the sleuth's reputation (assuming he cares) but send an innocent person to prison. And that is something the sleuth must care about. I think that's a large part of what separates white hats from black hats. 5. Show that the murderer is one depraved, sick, puppy. For most of the story the antagonist is going to wear a mask. Underneath the mask they are getting more desperate and their sickness, their desperation, escalates. One way we could show this is by escalating the number of murders, their violence, as well as the murderer's reckless daring. 6. Let your antagonist win occasionally. Your sleuth needs setbacks. He needs strong opposition to battle against and, so, occasionally, he's going to fail. Often this happens at the midpoint. The sleuth--or the sleuth's helper--thinks they know who did it. But they're wrong. Often the suspect is found dead, killed the way the other victims were. 7. Show the killer's true face at the end. The murderer is a cold-blooded killer. She has taken the lives of those she knew, perhaps even those she loved. And she did it for personal gain. She's not nice, not ordinary, perhaps not even sane. But for most of the book she has hidden in plain sight and has acted like everyone else. Now we get to see her as she really is. We get to see the murderer's contempt for those around her, for those who counted themselves as her friends. Although there is a lot more that can be said about qualities the murderer should, or could, have; qualities that would contribute to making him or her an interesting character, one a reader would love to hate, that's it for today. In the next episode of this series, How To Write A Murderously Good Mystery, I'll talk about the second most important character in a murder mystery: the sleuth. 1. "The Guilty Vicarage: Notes on the detective story, by an addict," by W.H. (Wystan Hugh) Auden over at Harpers.org. This article is from the archives and was originally published in Harpers magazine in 1948. 2. "Raymond Chandler’s Ten Commandments for Writing a Detective Novel," by Jonathan Crow over at OpenCulture.com. 4. This line is from the episode, "A Study in Pink," from the TV show Sherlock. Episode written by . 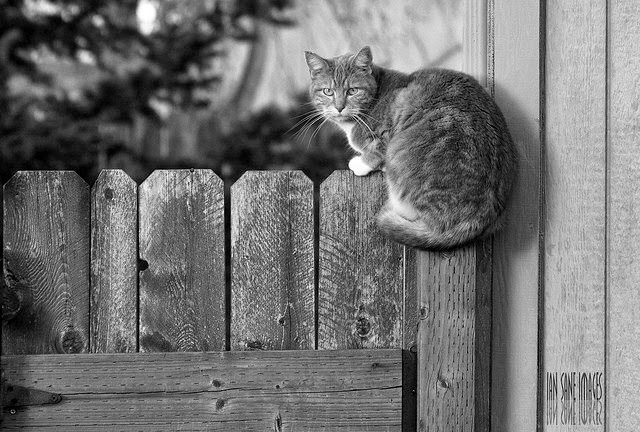 Photo credit: "Taking A Fence" by Ian Sane under Creative Commons Attribution 2.0. Shanah, thank you for your comment and for your kind words. All the best!